Got a call from the shop today and it is not good. They say they contacted a help line from Honda and was told "some cars just cannot be fixed"! I had the same exact symptoms as you, same exact code and guess how I fixed it? Replaced the distributor. It was something inside the distributor. Functionally the distributor seemed fine. I didn't crack open the ICM inside the distributor to inspect the PCB itself so either the ICM/igniter inside the distributor went bad or it was the wiring. I noticed that the spinning shaft part had chaffed against one of the wires wearing a flat spot into it that exposed the metal inside the wire. Also some of the wires had cracked from oil exposure exposing bare metal. I'm assuming something was shorting out from this. Do you know what exactly they fixed? Do you have proof they replaced the distributor? Replacing the distributor is an easy job IMO I would have just bought it and done it myself. Yes before I paid the $545 I checked under the hood and the distributor was replaced with a new one from NAPA. The aluminum color was darker then the original. However at that time when I went to drive the car away it did not start and acted exactly like when the problem occurred earlier. Today I reseated all the connectors associated with the fuel inj resistor bank. All codes have been erased so I will see what happens in the next few days. Went back to the salvage yard to exchange the ECU since the one they gave me had two burnt spots in it under a capacitor and you could smell it! The exchanged ECU was in like new condition (like the original one in my car) and the inside looked great. Plugged it in - and the car started and so far after about 50 - 60 miles the car has been running without any problems. Hopefully the next few days will show that the ECU was the problem for the intermittent #15 Ignition Output Signal! Went back to the salvage yard and requested another ECU since the one they gave me had some burn marks on the printed circuit board under a capacitor. Seems like the local repair shop ruled out the main EFI relay and Distributor (by replacing them) and just didn't want to try a used ECM since they could not return that part if it wasn't the problem! Last edited by MichaelT1960; 06-04-2013 at 08:45 PM. Car has been running well up until yesterday (1 yr) when it wouldn't start. During the 3rd try it was up and running. This was after being in the grocery store for about 10 minutes or so. Replaced the main relay and so far no problems but I know it may be something else.... I should have listened and paid more attention to the fuel pump running when I turned the ignition key but did not. contacts were in. Soldering all looked fine. 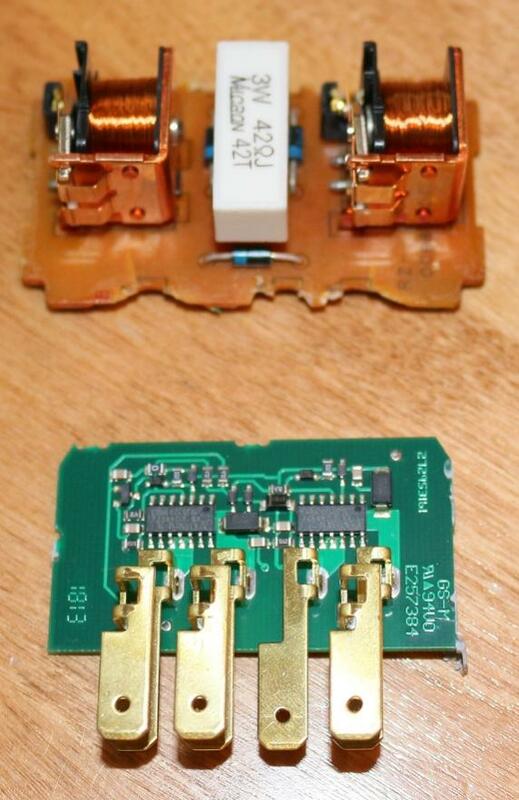 July 19, 2014: Car is running fine with the new solid state main relay! Last edited by MichaelT1960; 07-19-2014 at 01:53 PM. The ignition switch can be tested when the car stalls by checking for voltage to the blk/yel wire going to the distributor when the car stalls out while leaving the key in the II position. Can you get the engine to stall out by shaking the key while the engine is running? There is a ground on the driver's side of the intake manifold that you may want to unbolt, clean the bolt and eyelet with a wire brush or sand paper, then reattach. That is the main ground for the engine computer. See G101 in the picture below. thank you thank you thank you you are the **** ,ive tried everything ,good job!